Home/Blog Post/Exquisitely Ethical- Hot off the Press! Hot off the press, Cynthia Unninayar has published the latest Eco Trends in Jewelry and how and where they are worn! More and more attention is landing on designers and makers to source materials responsibly and this is our main goal as Ethical Metalsmiths. 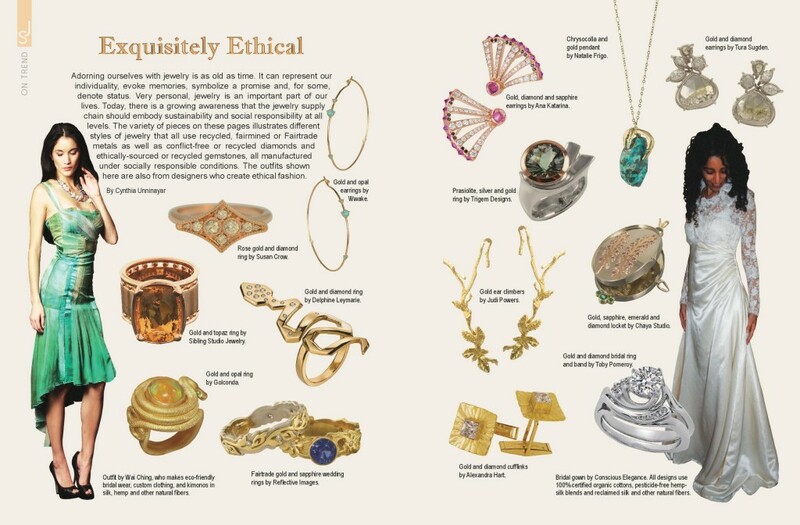 My reclaimed 18k gold Radiant Cufflinks with Diamond Foundry cultured diamonds is featured here- Thank you Cynthia for your contemporary coverage of the gorgeous array of “who’s who” in responsible jewelry.